Police want to trace anyone who has information about an attack on a woman in a Wick alleyway. 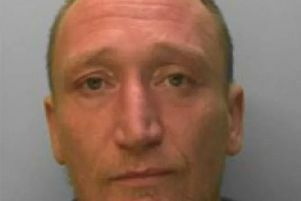 At about 8.30pm on Monday July 18 the 42-year-old woman walked from Stanley Road, Wick, Littlehampton, into an alleyway which leads through to Beaconsfield Road. As she has approached a track between the alleyways she saw two men drinking alcohol from black cans. One of the men was white, about 40, bald with a chunky face, about 40 years old and of heavy build. He wore a black tracksuit. The second man is believed also to have been white in appearance. The first man asked her, in what she described as a Eastern European accent, where she was going, and she told him she was going to the shops. He then without warning punched her once to the right eye. This has caused reddening and swelling. The second male has also swung a punch at her right cheek but this brushed her cheek and caused no injury.